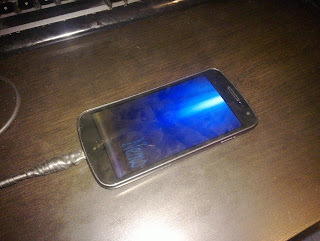 I have been trying to get Galaxy Nexus (i9250) to boot Nemo Mobile lately and finally got something working. Very big thanks for all of this (again) goes to Thomas (also known as dm8tbr at IRC) for building the cable (Guide) for me so that I could get the console output available and debug the boot process much faster. Ps. I will be providing more information soon with guide how to replicate the work that has been done. When I get all the pieces together.